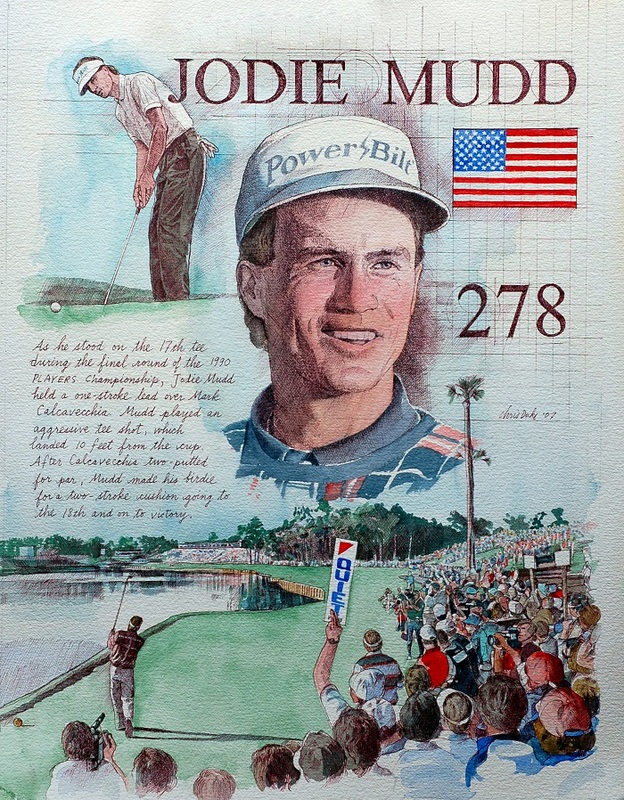 Kentucky native Jodie Mudd won THE PLAYERS Championship in 1990. Here he is featured on the approach to the infamous lake-lined 18th hole, a hole considered by many to be the most treacherous of the course. The golfers must avoid the water twice, both on tee shot and again on the approach. Jodie Mudd has said that his memories of the 18th hole at Sawgrass are vivid. He saw winning THE PLAYERS as the shining pinnacle of his golf career.